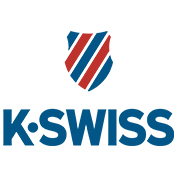 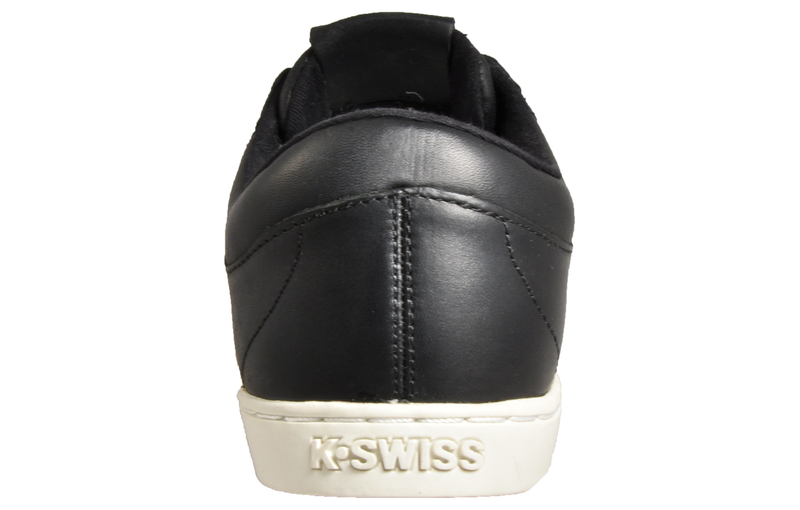 This men’s K Swiss Adcourt 72 SO is a sleek and stylish trainer fused with contemporary street influence that’s the perfect choice for casual everyday wear. 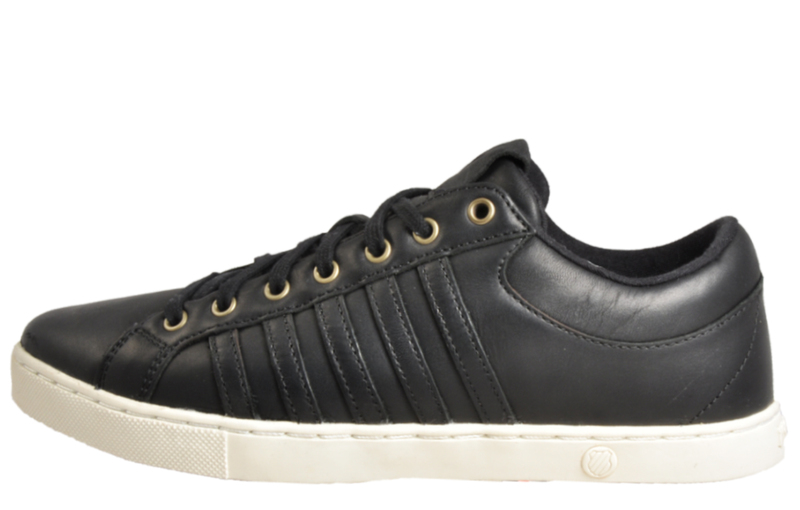 Available in a rich black leather upper, the Adcourt 72 is an impressive, low profile trainer that pays homage to its classic heritage. 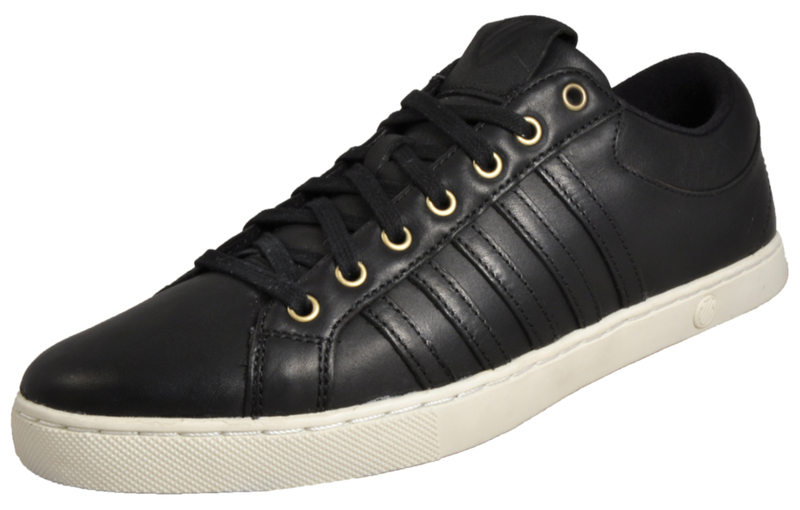 Based on an old-school tennis court shoe design, K Swiss have reworked an old favourite and updated it using modern materials in a luxurious black leather colourway, creating a deluxe men’s trainer that won’t let you down. 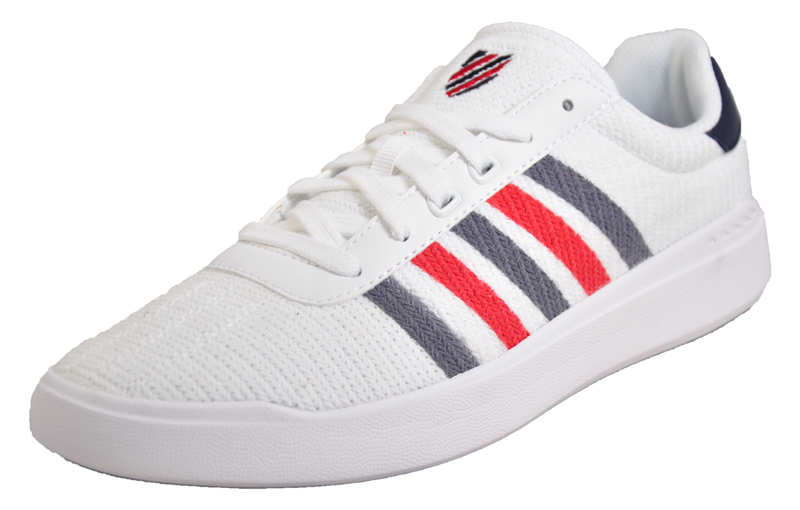 Boasting uncomplicated looks and style, the Adcourt 72 features the trademark K-Swiss five stripe branding to the side upper giving this shoe stunning visual appeal. 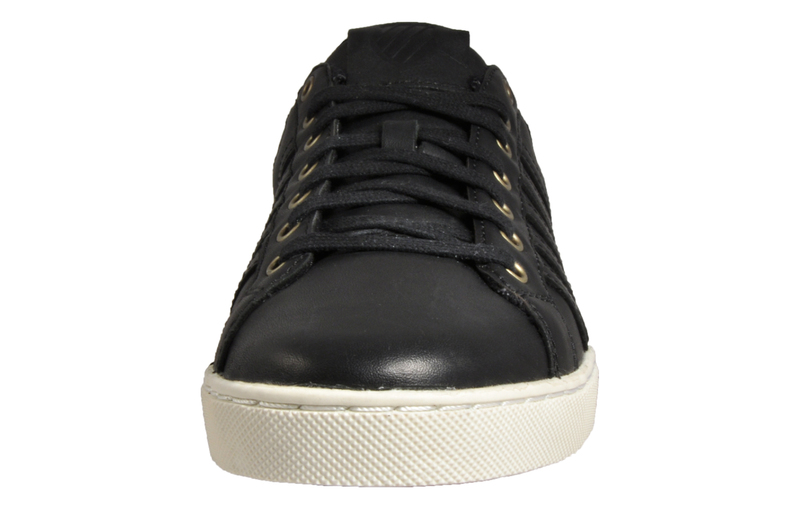 The Adcourt 72 has a unique blend of sporting style with a refined designer edge, a clean downtime trainer that delivers sporting authenticity based on a timeless and classic tennis silhouette. 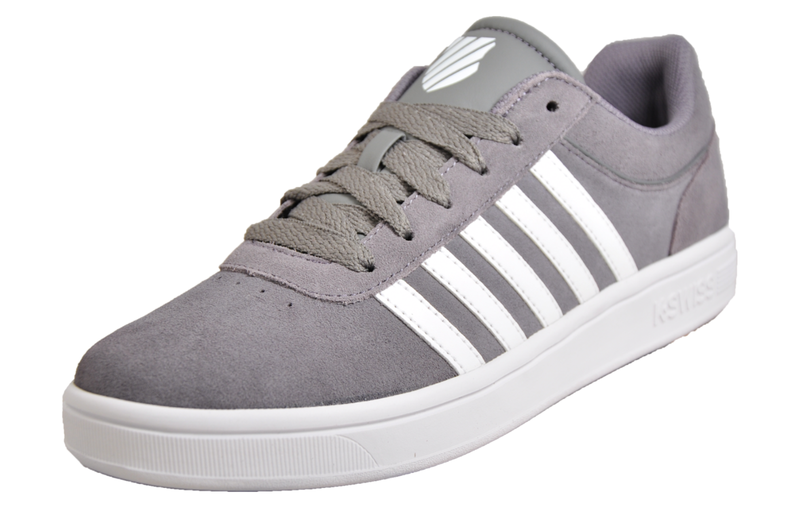 Equipped with a padded ankle and tongue area to provide excellent comfort all day long. 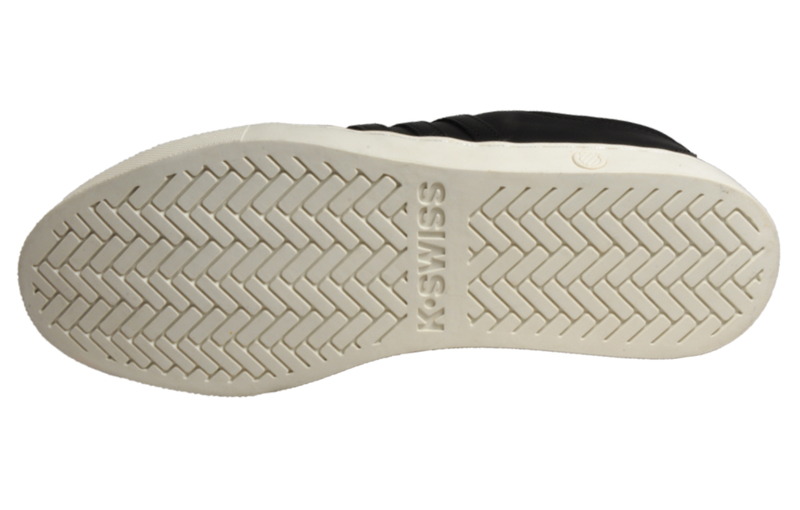 The thick rubber vintage styled outsole offers traction and grip on a variety of surfaces and ensures feet stay fatigue free throughout your day.